In case you missed it – Google is shutting down free access to Keyword Planner. 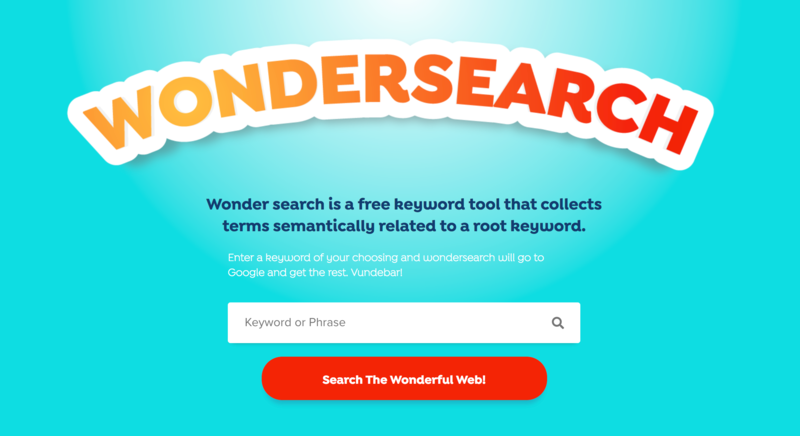 Which I’ll admit is kind of crappy, but there are plenty of alternative keyword tools out there. So if you’re looking for free alternatives to keyword planner, I’ve pulled together a list of other keyword tools that fit into 3 categories. In addition, I’ll share an exciting development I discovered; a workaround to still use Keyword Planner like you used to. This workaround will allow you to still use Keyword Planner without having to run an AdWords campaign (yes, you read that correctly – there’s a workaround that let’s you still use Keyword planner without inputting any billing information). This was shared with me by one of my master keyword research customers, Andrew McWhaw. But – since SEO’s can’t have nice things, and I would like for this to continue to work – I’m not going to share it publicly. UPDATE: Reports are that the workaround has already been shutdown by Google. Onto the other alternative tools you can use. 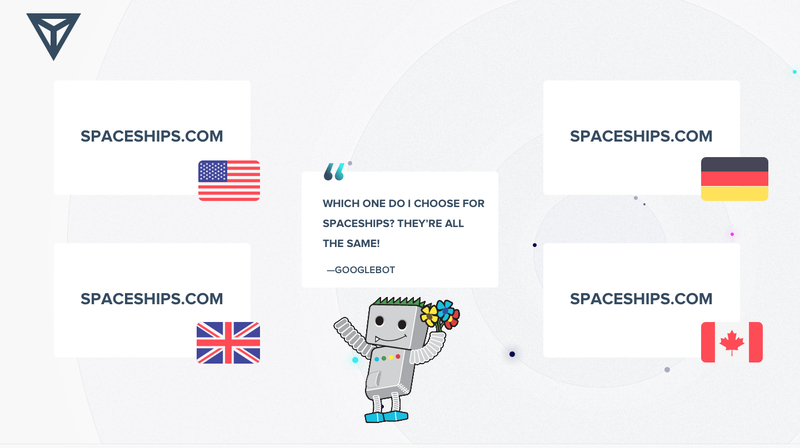 The following keyword tools are free to use, and deliver some real value – though some advanced features may require a paid account. One of my favorite keyword tools out there, Jason and CCarter understand search and data analysis and put a lot of time into building a truly powerful keyword suite with some robust scoring. Not only will you need to create a free account to get any of the keyword data with this tool, but to unlock the real power here you’ll have to also verify your account either by phone or SMS (both automated) – but it’s still free. From there it may take 1 business day for them to manually verify your account – but again, it’s not that bad for free data. Once in you’re limited to 10 results per query and 50 queries per month. One of my favorite features of this tool is that it only grabs very closely related permutations of the query you enter and it shows you daily volume as well as Google Trends data graphs. The following list of tools you can use right away without the need to create an account. 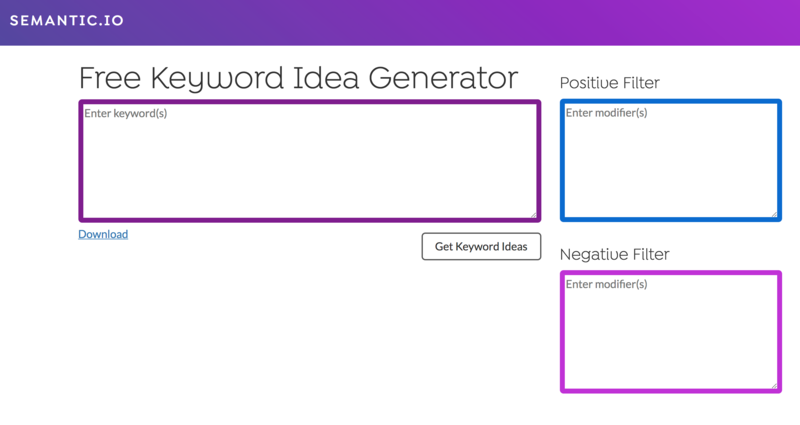 A free keyword idea generator that includes functionality for positive and negative filtering as well as an option to download essentially unlimited results. I also published a guide on how I’m going to rank for keyword tool. Wonderful (pun intended) tool that scrapes Google for people also ask and people asl search for results, and then pulls back the average monthly search volume, average cost per click, and ad competitiveness, all of which can be selected as you desire and quickly (almost instantly) downloaded into a CSV. It’s as free Chrome Extension that adds keyword search volume and CPC data right on the screen for other tools including Google Search Results pages, Google Analytics, UberSuggest, Soovle, Answer the Public, Keyword Shitter, Majestic anchors and MOZ’s Open Site Explorer. Update: Now also available for FireFox. Easily one of my favorite features of this tool is the list builder. This is functionality that TermExplorer’s latest version also has (but is paid only) and I find really useful for building targeted term and topic lists quickly. Just an FYI – you’ll get a modal window asking you to create an account (still free) but you can close it by clicking the “no thank you” gray linked text at the bottom. Another decent tool that you can dive right into, like keyword.io it also lets you build a list of saved keywords and export to CSV – my only gripe is the dataset is very limited – likely due to either 1) an smaller index overall or 2) a limited index for free users. The following keyword tools provide results in some limited form without payment, but provide pretty much no useful data for free. With that said, I’ve paid for each of these tools at some point in the past and did find them each to offer their own unique value. What initially caught my attention about this tool was the individual scraped indexes from both YouTube, Amazon, and the AppStore – and while other tools now boast similar data, this is still my go to source for AppStore keyword research. In addition, it has a built-in “questions” feature that’s wonderful for digging into TOFU topic content. Wordtracker definitely has some cool features, my favorite of which is probably KEI. The only issue I have with the tool is the data seems to be sort of stale.. maybe it’s daily data they’re reporting on which is why all the volume estimates always seem low; but it’s not clear.. which is my only gripe. So WordStream seems to scrape a crapton of data resources which is cool, and I like that they include their own tracked keyword search volume against Google’s stated volume. The post Google Keyword Planner Alternatives – Free Keyword Research Tools appeared first on From The Future. Marie and I chatted about these struggles and much more on today’s show. The post 096: How To Deliver Effective SEO Consulting w/Marie Haynes appeared first on Evolving SEO. My team admittedly has a distinct advantage when it comes to link building and making connections. Our company has worked with bloggers in our niches (cooking and crafting) for years, making it easy for us to reach out often for a shout out or small promotion from our trusted blogger network. Surprisingly enough, however, this does not always lead to quality links. In the past year, we have decided to dedicate a team to audience development. This team focuses on creating longform content, building reader relationships, and (of course) link building. Over the past year, our 35 websites have earned 707 links total from bloggers. 405 of those links were to our top websites. These are the links I examined for this article. This was closely followed by project and recipe roundups or lists (23.71%). Working with a strong blogger base means this time-honored linking tradition is still going strong for us. The other big chunk of these links were to the blogger’s own content on our site or their profiles (18.36%). While a wide variety of content earned us links this year, we discovered three strategies that consistently brought in high-quality, long-standing links. Nearly 9% of all of the links we earned in 2017 and 2018 thus were to a handful of “best blogger” pages to our sites. These lists are not simply round ups of bloggers we like in the industry, but instead are round ups of bloggers we work with on a regular basis. These collections prominently feature our favorite video channels, collaborators, and more. Instead of reaching out for the first time, these pages leveraged our existing relationships. They promoted our friends and told their stories. This content worked because it utilized pre-existing relationships with our contributors instead of just wishing for a link-for-a-link relationship with a stranger or new connection. We work closely with our blogger network and these posts were initially designed as a thank you and a shot out. Since this content was about them instead of simply mentioning them flippantly, people were excited to announce that they made they list. Creating content about your users, contributors, and connections shows you appreciate them and that genuine content and connection encourages linking. You’re telling their story. Not just baiting them with a PR mention. While we run a pretty specific type of website with a heavy amount of user-generated content, this process and general concept could easily be applied to plenty of other brands. Consider creating content about your users and customers. SaaS companies, for example, could utilize case studies to highlight the work their favorite customers are doing. Blog posts like 5 Ways Our Customers Are Transforming Their Industry with XYZ gives them a genuine, interesting brand mention that will likely lead to links and shares. Retailers could easily create content around particular branches and stores, earning local links and media mentions. What do you really love about your customers? What story do they have to tell? These stories are engaging, interesting, and linkable! While this type of content did not earn us a high volume of links (about 3%), it did earn us the highest quality of link. Rather than linking to our homepage or a simple brand mention, our reference and how to content outperformed all other links when it came to the link itself. These pages are consistently linked to with their title or exact keyword matching for our intended keyword cluster. If you’re hoping to boost your authority in your niche or a particular topic, this is the way to go. Our top content for this particular content type was NOT a general or all encompassing topic like how to cook steak or how to crochet. Instead, the content that did the best here was for hyper specific skills and techniques or specific questions that are not often answered in those other general, higher level content. It helped solve one particular problem. This content works on several levels. First and foremost, it is addressing an obscure question that by and large has yet to be covered on its own. While many articles on no bake cookies, for example, may mention issues with consistency and texture, a thorough explanation of them is a unique and engaging piece of content. These always do well on social. It answers a question that might have have been answered already. Secondly, this content is much easier to link to than the dreaded listicle. This article provides a unique value that makes it very linkable. When reaching out, we are able to mention that we have a thorough explanation for a technique or recipe that might be worth mentioning. We have also had success with the gentle nudge that the blogger failed to mention something in their recipe and providing the research for them. “I noticed you didn’t mention whether or not to thaw the frozen potatoes for your casserole. Is this something you would recommend? We actually just wrote an article about this since some of our readers were asking.” This allows you to create content that is adding to their own and participate in a conversation. This type of content also does an awesome job of earning links naturally over time. What is often called pillar or reference content is not a brand new concept for any content marketer. We have all worked on creating this higher level, long-form content at one point or another. What is important to note about this strategy is the specificity. It solves a short-term and very specific problem a user might have, something that might be mentioned in these longer form pieces of content (and linked to)! Finding these topics can be tricky, but there are resources out there. Try perusing the “people also ask” sections of the search engine result page or the tool AnswerthePublic.com. The trick here is to find a great topic that aligns with your goals. Our readers for our knitting site, for example, are generally retired women with limited income. Condo knitting is a vintage style of knitting that was popular in the 70s, so it offered a nice #throwbackthursday vibe. Our readers don’t tend to love higher end materials, so writing an article about how to care for expensive alpaca or cashmere yarn would not have done as well for our intended audience. SaaS companies could do this by writing a shorter, snackable article about a specific solution their platform offers (like Buzzstream locating email addresses). Retailers can easily create articles on how to care for their product. Remember to find a specific topic. We’re not looking for “how to care for a mattress” and instead looking for something like “how soon after buying a new mattress should you flip it” or “can sleeping on a short mattress cause back problems”. As an added bonus these low stake, content snacks tend to do fairly well organically when you find the right topic. This article about thawing frozen hash browns we created last week is already receiving about 10 or more organic clicks a day and it took the team about an hour to put together. Staffing wise, it will likely pay for itself pretty quickly in leads and ad dollars. 3. Collaborative Content and Promotions – Working with your linkers! Two of our biggest projects every year are National Craft Month and National Sewing Month. These month-long promotions and content calendars provide 30 days of new content to our readers as well as a myriad of giveaways, freebies, and more. Our entire editorial team gets on board to create the content, finding bloggers to help with projects, and promote the content. These large scale projects are link-earning machines. This year alone National Sewing Month earned us about 25 links while National Craft Month (on our biggest site) far exceeded that by earning around 3-5 links per project, earning us just under 90 links in total! These promotions consist of brand new high quality content created by our editorial staff as well as collaborators. With such a big group working together, the link building is natural and expected. Rather than focusing solely on bringing links inward, these month-long promotions focus on creating content with creators we love. They share projects on our sites in full as well as promote them on their blogs. Readers have the option to win a ton of prizes. We send out social media blasts, tag everyone, and create a community around one promotion. Rather than just linking to us, collaborators on these projects feel as if they are part of something. They submit project ideas and applications to be apart of the promotion, giving it just a little exclusivity. It is something they are proud to be apart of and want to share. This means promoting their projects on our domain is also promoting their very own brand. While brands might not have as strong as a collaborator or blogger network to pull from, the overall idea of creating a community and an event instead of single pieces of content is easily transferable. Depending on your goals and resources, it would be just as easy for companies to create week-long promotions showcasing new content from talented collaborators and freelancers. Digital promotions like this one give collaborators a feeling of community. If they are part of something, they’re likely to promote and link to their own content as well as those within their network. SaaS companies could easily create a week of webinars and retailers or brands could easily borrow from influencer campaigns to create a week of DIY ideas or recipes using their products. Creating week-long or month-long content calendars also has the added bonus of inspiring internal promotion. If your company does something new and exciting, your staff is more likely to share the engaging content on their personal channels and blogs. Organic social promotion is just as useful for brand promotions as link building even if it is a little more ephemeral. My team creates a wide variety of content with several goals in mind. We’ve created a lot of longform and reference articles for our site to add value for our readers and promote our Youtube content and videos. We’ve created shorter listicles for users who are just looking to browse. We’ve even created content focused solely on building links that involved a lot of ego-baiting within listicles. Many bloggers are willing to link back and share the love, but I have a sneaking suspicion that this is because of our existing relationships and not the content itself. After a year of link building and hundreds of reach outs, our main takeaway is that curating excellent content and working closely with the collaborators we love is the best way to earn links. Working with other content creators to create content either through shared promotions or offering them something extra (like a niche reference article) is going to earn you more links than a 1,000 cold emails ever will. The post 3 Types of Content That Earned Prime Publishing Their Best Links in 2017 (and 2018) appeared first on BuzzStream. One of the most overlooked ranking factors in Google is your bounce rate. That’s because bounce rate doesnt have a direct impact on SEO. It does have a huge impact on lots of metrics that DO have a direct impact on your rankings. In fact you are losing out on traffic every single day that you are ignoring your bounce rate. Bounce rate is the percentage of visitors who come to your website and leave without viewing any other pages on your website. For example, if one of your pages has a bounce rate of 75%, it means that 75% of the people who come to that page leave after only viewing the page on which they entered. It doesn’t matter if they spend 20 seconds or 20 minutes; if they leave without visiting any other page on your site, it’s considered a bounced visit. If your site only has a limited amount of pages and few internal links, your bounce rate will naturally be high. On the other hand, if your page has more than a dozen pages, and particularly if they have good content, good design, and good internal linking—you will have a lower bounce rate. There — you will see your average bounce rate. This bounce rate isn’t representative of your real bounce rate because it includes the behavior of the new users and the returning ones. That’s why you need to segment it by audience to get a true look at things. In the left sidebar, click on Behavior > Site Content > All Pages. Then, in the top bar, click on the “+Add Segment” button. In the list of available segments, scroll down until you find the “New Users” segment and click on the “Apply” button. The “New User” segment will only show you the bounce rate of the people who have never visited your site before. In the All Pages report that you accessed before, you will be able to see how the bounce rate of your new visitors compares to the returning ones. Some people confuse bounce rate with exit rate. They may seem similar, but the truth is that they are different metrics. Exit rate is the percentage of visits who actively click away to a different site from a specific page, whereas bounce rate is the percentage of visits that were the only one of the session. In other words, the exit rate represents the visitors who exited on a specific page, after possibly having visited other pages on your site. Bounce rate, on the other hand, records when a user exits directly from the page they entered. Therefore, all bounces are exits, but not all exits are bounces. Bounce rate has never been considered an important metric SEO-wise. Sure it was nice to improve the user experience and there are many reasons to do that, but it had no impact on the way a site ranked in the search engines. But all of that has changed. One way bounce rate can negatively impact your rankings is when a user visits your site, clicks back to the search results, and clicks on a competitor’s result. That’s called pogo sticking and is essentially a Bounce. When that happens, the user is saying your site isn’t as good as your competitor’s one – and Google is tracking that! A high bounce rate means you also likely have a high pogo sticking rate and that is casting negative votes against your rankings every day. If you improve each of these aspects of your site, you will make your website more relevant and therefore, better suited to rank while taking care of the pogo sticking issue at the same time. If your site has many different pages, like blog posts, landing pages and an about us page — you can expect a wide range of bounce rates. That’s why you need to take a look at the bounce rate of each individual page to see which one has the highest bounce rate right now. You should focus on fixing the pages with the highest bounce rate and most traffic before anything else. First off, go to Google Analytics, and click on Behavior > Site Content > All Pages. Here you will see the pages on your website that have received the most pageviews and their bounce rates. One problem with this report is that you will get pages with little to no traffic. You want to ignore those pages with next to no traffic and focus on the ones that have at least a certain amount of traffic. In the menu, click on the “Page” dimension, and scroll down to the “Site Usage” section. Then click on the “Pageviews” filter. Make sure the filter says “Greater than” and then define the minimum amount of pageviews you want to filter this report with. This report helps you see what pages you need to focus your efforts on. You may think your website is simple to understand, but your readers may disagree. Instead of guessing what people do on your site, you can use heatmaps to find the specific user behaviors that show you the parts people look at, scroll to, and click-through. With the information from heatmaps, you can determine the best layout & content placement for your site. With this heatmap, we can see the visitors scrolled in the article’s title, in the badges at the top, and in the menu bar, particularly the “Post Categories” section. Some others seem to click on the bottom right, probably to click on the scroll bar. You should use the data from the heatmaps to carry out A/B tests and improve your pages. A tool I recommend is Inspectlet, which not only gives you access to heatmaps, but also to session recordings, and form analytics, among other things. Here is a handy coupon for you. The best way of lowering your bounce rate is by improving the engagement on your pages. One reason why your pages have low engagement may be due to the fact your visitors don’t get what they want—or expect to get—based on the information shown in the Google results. For example, if you’re running an ad on Google Adwords that leads to a page with high bounce rate (and low conversion rate as well), it may be that the ad promises something that the visitors don’t get. The same applies to someone who reaches your site through an organic search result, email or social media. It’s important that your content matches the intent of the keyword. But none of the ads have anything to do with my search. They are all about starting a blog, not writing a blog post. Weebly is one of the largest website builders, yet in this case, their ad is completely irrelevant to what I was looking for, which is blog post writing tips. How do you think this affects their bounce rate? Make sure your title tags and meta descriptions paint an honest picture of what your pages are about. As the saying goes, underpromise and overdeliver. I have already shown you how implementing the right internal linking strategy will improve rankings. But besides the direct SEO benefits, internal linking allows people to visit more pages on your site, thus lowering your bounce rate. The goal of your internal links should be to invite people to look further on your site. Your internal links can be contextual (i.e., those that show up in a sentence), or separated from your content, like the ones shown at the bottom of this article. If you have a blog or a niche site, you can add “Related articles” at the end of your content like I do on the blog using this plugin. When linking contextually, think about other pages that people could be interested in. If you have an e-commerce store, think about adding a “Related products” at the end of your product pages. Actually if you have an ecommerce store you should implement my 7 day ecommerce SEO strategy. If your design includes a sidebar, like the case of The Next Web, then include links that everyone should read. For example, if you have one article you know that has high engagement or a high conversion rate, make sure to add it. I do this with the Super Post plugin on the blog but you’ll notice my blog posts don’t have a sidebar – just my home page, archive pages and static pages do. As I showed you in my recent post about Googles new SEO starter guide, mobile organic traffic has accounted for 50.3% of all web traffic generated worldwide. If someone visits your site from a phone and it’s not mobile optimized, they will have a horrible experience which will lead to a bounce or negative pogo stick signal. Most WordPress themes (including my Authority theme) are responsive and mobile-friendly. But I highly suggest you browse your site on both a smartphone and a tablet to see how it looks. So pull out your phone or tablet and check your mobile experience right now. You will be surprised at what gets through the cracks! One of the biggest contributors to a high bounce rate is badly written content. But what is badly written content? It’s not really got anything to do with grammar or spelling mistakes but it’s more about how that content engages people. Does the content match the intent of the keyword? And if it does – does the content engage people enough for them to click through to other parts of your site? For that to happen you need to make sure your content is easy to read and draws people in. If you have read my content for some time, you know that all my paragraphs are short, easy to read, and clearly written. Once I finish writing an article, during the editing process I try to reduce the word count as much as possible while adding value at the same time. You can find an analysis of your writing by checking the results Yoast SEO gives you at bottom of your posts. You don’t need to achieve the perfect score here (I never do) but you wants to try and get a green light on the majority of points. While the plugin says there are two problems in my article, what matters isn’t to get a perfect score, but to get the majority of the points in green. You could also take advantage of some of these SEO copywriting techniques to help keep people hooked! It’s emotional, it’s appealing, and it creates suspense on how to achieve the same results as the subject of the article. There are more techniques you can use in your intros, including the Agree-Promise-Preview (APP) Model and The Bridge Model. Whatever technique you use, having a catchy intro is a great way of sucking people into your site. If your site is slow, people will bounce. Fact. Not only that but it’s costing you more money than you realise. Decreasing my site’s load speed time by 3.156 seconds allowed me to earn $30,587 in just 6 hours. To increase your page speed, run your website through GTMetrix. GTMetrix will give you a breakdown of your page, its loading time, and the problems it encountered loading it. The best part is that if you click on each problem, you will get a specific analysis of the files it had problems loading. If you need help improving your site speed, first you should also use a plugin like W3 Total Cache, which allows you to optimise your site’s page speed in a few minutes without spending a penny. You can turbo charge that even further by using a Content Delivery Network like MaxCDN. And if you are really serious about increasing your site speed (you should be) then use a good host like WPXhosting or Kinsta (who host this blog), which will have a huge impact on your site speed. You can have a beautifully-designed page, but if it doesn’t have a clear call-to-action (CTA) you will be doing damage to your bounce rate. Not only is the title and description fantastic but the CTA is above-the-fold, it contrasts with the rest of the page and offers a clear benefit at a low price. Obviously people are going to click through at a high rate because its both highly relevant and the most obvious thing to do on the page. Make sure all your pages and posts have at least one CTA, even if you find it hard to find one that’s relevant – adding something is better than nothing. It’s easy to imagine that a product page has a “Add to bag” button, like the case of Asos. Your “About us” page should lead to a contact form for your services, a popular and profitable piece of content or a category page with your most widely shopped products. All of these things will not only lower your bounce rate, but increase your conversions and profits as well. So now you know how to lower your bounce rate, what are you waiting for? Because you are literally losing traffic and profits every single day that you are not optimising your bounce rate. Use Google Analytics to find which pages have the highest bounce rate that alsorecieve a large % of your sites traffic – focus on these pages first. Install Inspectlet to begin analyzing how your visitors interact with those pages. Based on the heatmap analysis, improve your site to make it easier to use. Run your site on GTMetrix and check for any problems that slow down your site. Install W3 Total Cache and use MaxCDN. You might want to change to a faster host like WPXhosting or Kinsta (who host this blog). Run your site through the Google Mobile-Friendly Test and fix any problems the tool finds. If you see your site isn’t responsive at all, it’s easier to change to a Worpdress theme that is. Once you have taken care of those foundation problems you can focus on adding call to actions, making your content easier to read and improving internal linking. Every day you are ignoring your bounce rate, you are losing traffic. Which change has had the biggest impact on bounce rate for you?